Today's fastest growing startups all share one thing in common: a new approach to how they grow. Using new a way of marketing, called growth hacking, these startups have grown to millions of users and created billions of dollars in value, all without using the traditional marketing playbook. So how have companies like Uber, Square, Snapchat, Evernote, Hubspot, Github and Yelp grown? See for yourself in this ebook packed with the most in-depth case studies on exactly what strategies these companies used to unlock massive growth. Each case study shows you the specific strategies (we call them "growth engines") that these companies used to grow, both in the early stages and later in their development. From the growth hacks they used, to the unique growth playbooks they employed, you won't find a more detailed look at how startups achieve growth than through these case studies. 2.0 out of 5 starsNot as good as expected. Not very well written. Case studies are interesting but far too broad too be useful. Would be better off spending your money on properly researched business cases from Harvard Business School etc. Disappointed. It’s an interesting book. Personally, I think the book’s weakest feature is the title; it does not define whether this book is geared toward tech savvy followers of start-ups or towards the general audience of people, who’d like to learn something about how they could drive more growth to their businesses. However, the book’s writing style is easy to understand and the examples are well chosen. For the purpose of this review I’d like to focus on two: Upworthy and Uber. Absolutely everybody who spends a bit of time on FB knows Upworthy and what kind of content they feature. Uber has been in the news so often that even people who do not follow start-ups per se know something about the company. Even though more than one reviewer stated that they knew all presented facts, I didn’t. This book is informative. E.g. I did not know that originally Upworthy was really focusing on political content and how they made the switch to positive emotionally charged content that made them so successful. That even their ads feature only products which they deem “upworthy”. The book elaborates how Upworthy uses facebook to spread its content and find new fans. After detailing Upworthy’s ways of achieving their immense success the book asks the right questions, e.g. Will Upworthy last? It’s an excellent question. Though one of Upworthy’s success secrets is that they asked visitors to subscribe via pop-up window which popped up after emotionally charged videos, and I did do that, after about a year of looking at that pop-up window “Do you want more stories like this one?” I became so annoyed that I unsubscribed. The authors, Sean Ellis and Morgan Brown mention Upworthy’s many copycats… Yeah, they add to this feeling. I also liked that the book tells readers about Uber’s beginnings and the logic behind their thinking. I had been wondering about Uber’s beginnings; now I can see how the company could spread their wings so quickly. Tech people’s words of mouth is faster than any other group’s. In short this book is not an accumulation of technical data, stats and fact, but also very user-friendly for people, who are interested in concept thinking. The book is excellently designed with pictures, graphics, as well as lots of links to websites, articles, footnotes; in fact rarely ever have a seen such an fabulously designed book. Readers who are not familiar with the one or other featured company can access every bit of information with the provided links. Whether you're a growth hacker looking for new ideas or a founder looking for customers, you need to read this book. Based on thorough research of successful companies like Uber, Upworthy, and Hubspot, Sean and Morgan (both experienced growth hackers themselves) provide keen insights and practical takeaways. My two favorite case studies are Evernote and Upworthy. Rather than focusing on growth, Evernote spent the first few months after release in closed beta focusing on improving the product and working out scaling issues. Then, once the platform had proven successful with their 125k beta users, they opened to the public as one of the first apps in the new iPhone App Store. To the occasional detriment of our collective Facebook feeds, Upworthy has decoded many of the secrets of content virality. How did they do it? The case study in this book explains many of the factors, but one of the most interesting to me is the way that they continually test their headlines. You'll have so much fun reading this book that you won't even realize how much you've learned. Every business is in its own unique situation. This means that marketing playbooks of others are not necessarily going to work for your company. However, knowing them is a must. They illustrate the thinking process that led successful companies to astounding growth curves. 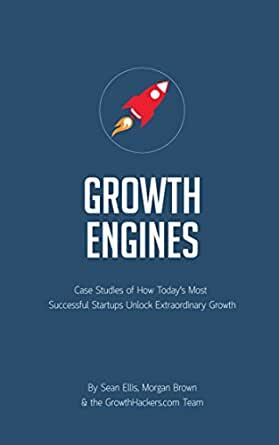 In their book, Startup Growth Engines, Sean Ellis and Morgan Brown present a number of case studies from the companies that each faced their own challenges and ultimately succeeded to reach the critical mass of users and customers. Feverishly researched, the material presents you with the detailed journeys of household names like Uber, Evernote, and LinkedIn. Knowing their methodologies will give you the tools you can adopt for your own business as well as inspiration to come up with techniques that will make sense for you and the courage to experiment and iterate until you uncover your own hockey stick growth! Ever heard of Dropbox? Eventbrite? Inman News? Qualaroo? These authors are the mastermind marketers behind these companies. And many more. They both walk-the-walk and talk-the-talk. As they examine the key growth levers of companies like Yelp, Evernote, SnapChat, Uber, and LinkedIn, you'll find a plethora of tried-and-true tactics for building your own growth machine. "What to make of all of this? If you're a marketer, the imperative is clear. Your job is to move beyond traditional promotion and get deeply integrated with your product and engineering teams to find the best growth levers for your business. If you're an entrepreneur or business executive, the charge is equally clear: you must remove the walls between your sales and marketing organization and product development. You must move quickly to an integrated growth organization and foster a culture the prioritizes growth across the company." 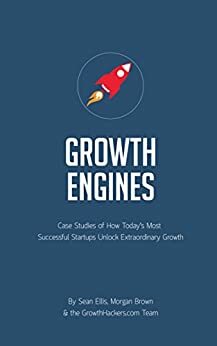 Startup Growth Engines is a great study of the strategy and tactics used by some of the fastest growing tech companies. It would definitely help in understanding how you can position your company for growth using the new rules of marketing. This book would do greatly when read together with Growth Hacker Marketing by Ryan Holiday, to understand the mindset behind growth hackers. Invest in the book today, to position your company for growth. Get the edge in growing your business!